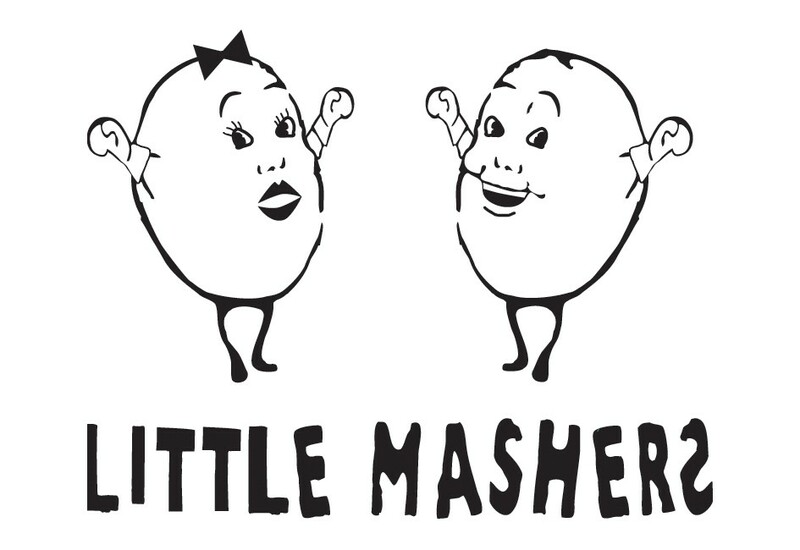 Clare and Andrew, the creators of Little Mashers, love to capture to spirit of childhood with their products. So they combined the fun with the practical. 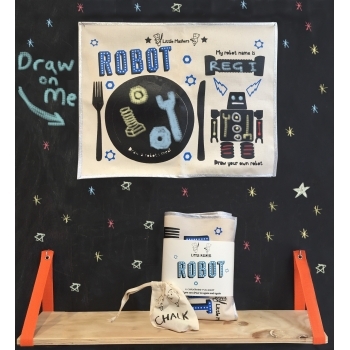 Their unique chalkboard gifts are fairtrade and tested extensively for durability and will ultimately be loved by your kids. Hey little magician! What ingredients do you need for your magic potion? 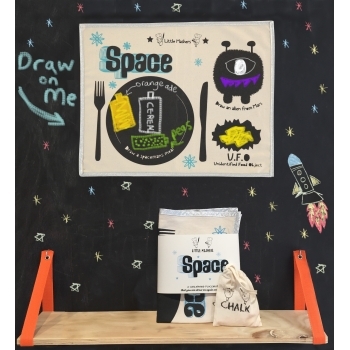 Draw them on this cool chalkboard placemat. 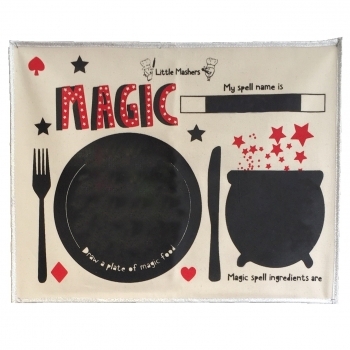 The placemat will make your kids meal at home or at the restaurant more fun. Use it over and over again, just wipe with a damp cloth. What do robots eat? 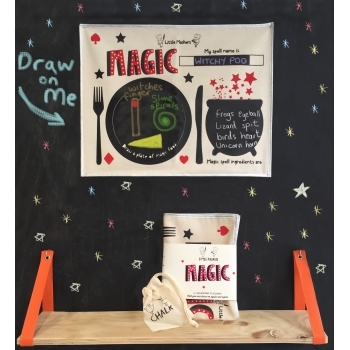 Draw their meal on this chalkboard placemat. The placemat makes your kids meal at home or at the restaurant more fun. Use it over and over again, just wipe with a damp cloth. What do astronauts eat in space? 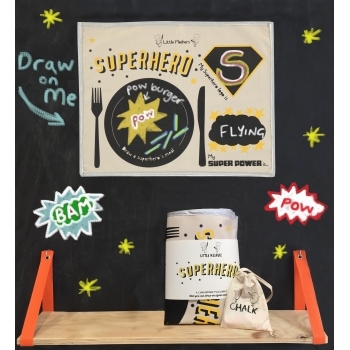 Draw their meal on this chalkboard placemat. 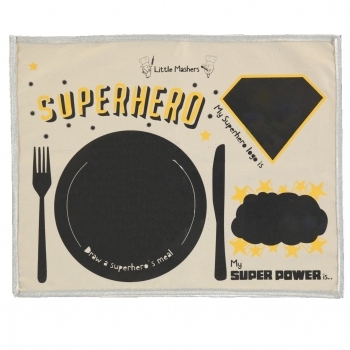 The placemat makes your kids meal at home or at the restaurant more fun. Use it over and over again, just wipe with a damp cloth. Do superheroes eat special food to gain their superpowers? 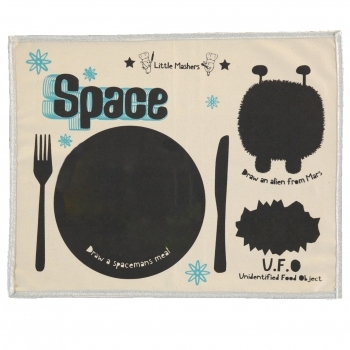 Draw their meal on this chalkboard placemat. 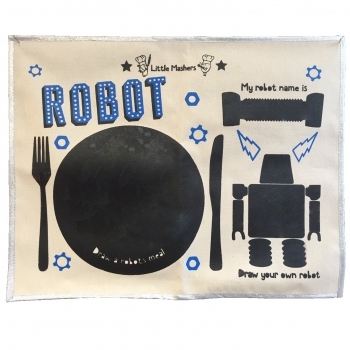 The placemat will make your kids meal more fun, at home or at the restaurant. Use it over and over again, just wipe with a damp cloth.